To write an album is an undertaking, anyone will tell you this. Different bands have different processes to make albums happen - and Elephant Fire had their own, unique way of creating their most recent release, too. 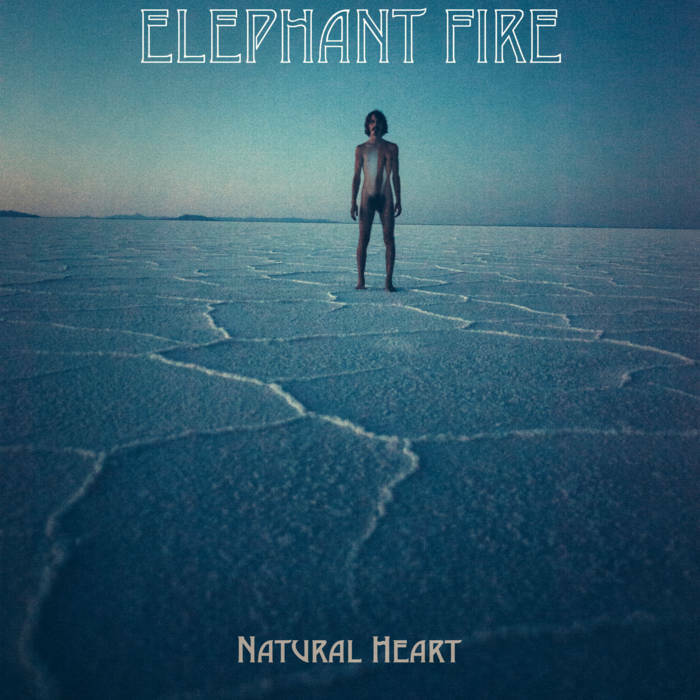 Natural Heart is the September release from New Jersey band Elephant Fire. A rebirth since their last release back in 2014, a total of three years in between the two. The new album is a self proclaimed result of "a six month pilgrimage into the hearts of North America's national parks for this album. Guitar slung on my shoulder, the way of the coined “Natural Heart Tour" provided resonant rebirth in the desert vortices of red rock mountains, the great joys of the giant sequoia’s, and trillions of stars of the Milky Way galaxy fireside on the Rio Grande," says singer, Adam Wall. Clearly an innovative, different process than most bands we've listened to. And what better way to inspire art than nature? We aren't sure. Either way, we've got the track list below so check that out before we delve into the belly of the beast that is Natural Heart. The 7-track LP is a psychedelic pop renaissance that came together with the help of Elephant Fire's four members. Adam Wall (Singer/Songwriter/Guitar/Synth/Percussion), Steve Wall (Guitar/Vocals/Synth/Misc. Instr. ), Zac Colwell (Bass/Vocals), and Dave Heilman (Drums). 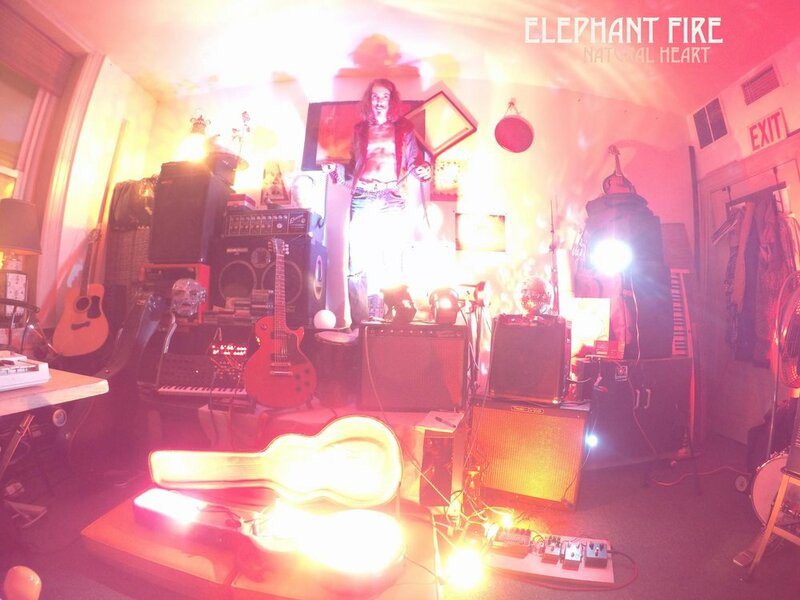 In comparison to their 2014 EP, there are slight but important difference that Elephant Fire bring to the table in Natural Heart, and that's something to be excited about. While they maintain their groovy, fun flare for psychedelic, indie instrumental sound, the band upgrades in technicality and emotional moments. Natural Heart is grown up Elephant Fire that is to be expected from a later release, and we're diggin' it. Normally we'd pull apart each track, but Natural Heart is pretty streamlined. Each track feels familiar and solid, nothing really stuck out to me which makes this album a nice background listen. I do wonder what Elephant Fire's goal is. While the background information is interesting and helps make the listen more meaningful, I wanted more emotion in Natural Heart. I feel like a nearly 4 year difference between releases could've meant a growth - and while it's clear the technical aspect of this album feels better, more well done and fuller, it isn't satisfying the part of me that wants to connect to it. At it's base, Natural Heart is a good vibe. It's easy to listen to, has good intentions and is well versed instrumentally. I like Elephant Fire and what they're doing - and if making feel good music is where they're at, then I'm right there with them listening to this album while I sweat out whiskey at the gym. Definitely check out this album, and take a peek at their social media to never miss an update!